Need a place to host your business website? Running a forum? Blogging ? 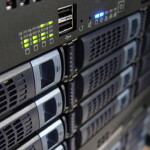 Cerberus Design offer shared web hosting from just €75. Whether you are looking simply to set up a brochure site for your business, or to set up an online store; we have a web hosting package that will suit you. Your website files have to live somewhere. They exist on a computer that is accessible 24-7. This type of computer is called a server and it has an IP number. This server hosts your website and is a yearly recurring charge. At Cerberus Design we use Linux servers. Linux is an open source operating system used by the vast majority of web servers because of its stellar security record and fast development and support from the open source community. 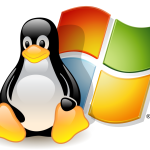 Linux Shared Cloud Hosting is cheaper than its windows equivalent, simply because there is no single organisation that owns Linux and so there are no licence fees. Linux cloud hosting is simpler and can be more reliable.